DOUBLE THE ADVENTURE: Country Inns and Suites 1K Adventure- 7 States in 7 Days! Country Inns and Suites 1K Adventure- 7 States in 7 Days! Imagine your family waking up, hopping on a plane to Minneapolis, and then getting up the next morning to begin driving 1000 miles through 7 states for the next seven days. Sounds like fun, right? But there's a catch. You won't know which direction you are heading or which states you will be visiting. As a matter of fact, you won't even know where you are going each day until you received a message on your smart phone giving you new instructions! Sounds like a blast doesn't it? Well, that is exactly what my family will be doing from June 5th-13th while we participate in the Country Inns and Suites 1K Adventure!!!! Lately we haven't exactly been the most spontaneous travelers. I love to research, plot out, and organize every last detail of our vacations. On this trip however, I have to hand the torch over to Country Inns and Suites by Carlson and trust them to do the planning. While I am confident that they have plotted a fantastic course for us, I am still experiencing a bit of anxiety about the unknown. I will probably be bringing along multiple travel guides so I can blurt out random facts about each location we visit and I have a feeling my road atlas will be attached to my right arm (I know we will have a GPS but I am old school), but my excitement over this journey far overshadows those little anxious gremlins in the back of my mind. Here is what I do know: We will be driving an Avis Rental Car, equipped with a GPS, be given a Sprint smart phone (the Samsung Moment to be exact), some Dining Cash gift cards, and a JVC Camcorder. Each day, we will get messages on our Smart Phones regarding our next "Suite Stop". In those messages we will be given directions and the information that we need to navigate to our next destination. We will have a task to complete at each "Suite Stop" and it will be up to us to determine how we spent the remainder of our time during the day. Every night, we will be sleeping soundly at one of many different Country Inns and Suites throughout the country. Its nice to know that at the end of the day, we will be in a clean, comfortable bed with plenty of room for the four of us to spread out! My family is not going on this journey alone. We are heading down the road with two other families. The first is the Williams Family of Colorado. Kara (aka Colorado Gal), the family matriarch, is also a fantastic travel writer and one of the women behind Vacation Gals. The second is the Sveback Family. Ross Sveback is a widely recognized Twin Cities lifestyle expert (I am really looking forward to all of his tips!) who can be found on Kon-Tent. Part of my excitement about this journey is being able to meet these two families and share our experiences with each other. I can't wait to read their blog posts, tweets, and Facebook updates to see how their experiences differ from ours even though we are all traveling the same stretch of highway. I would love nothing more than to have you all follow along with us as we take this trip and explore America. Make sure to bookmark the Country Inns and Suites 1K page so you can follow our three families as we roadtrip across the country. Each day, I will be writing a post at the Trekaroo blog (I will be placing a link to that post here as well), recapping our day and giving you the highlights of our journey. We will also be videotaping portions of our trip so be sure to check out the clips I post to see yours truly making a complete fool of herself on camera. I will also be updating the Trekaroo Facebook page and my personal Facebook page. Finally, I will be tweeting up a storm on both @trekaroo and @doubleadventure. Make sure and follow the hashtag #CIS1K so you don't miss a moment of the adventure! There you have it- the details (or lack thereof) of our upcoming journey. Now I would love to hear from you! Where do you think we will be heading? What places do you hope we see along the way? Any tips for venturing out into the great unknown? I am looking forward to hearing what you all have to say! 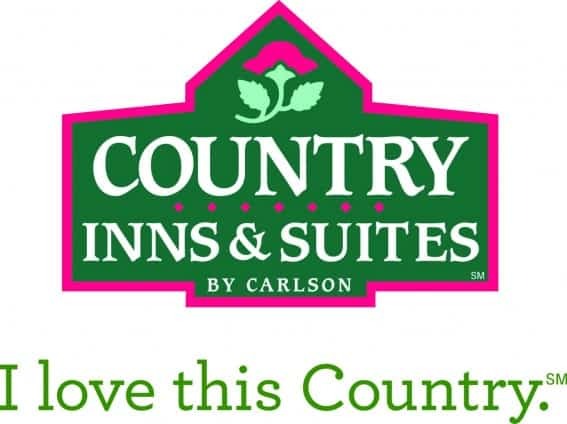 Disclosure: A significant portion of the costs and resources for our family’s participation in the 1K Country Adventure was provided by Country Inns & Suites By Carlson. While I really like your blog and like the fun adventures you have with your twins, I will NOT be following your adventure. I'm sorry to hear that you've sold out to Country Inn. Your last post sounds like an ad. Ugh. Anonymous (if that is your real name)- I am sorry you feel that way. I think the opportunity to go on an adventure to destinations I might otherwise never see sounds like incredible fun which is why i chose to a part of this adventure. All of the opinions expressed during this trip will be my own. Country Inns has not asked me to have a specific opinion about any of their properties nor will I ever sell out my itegrity by sharing anything but my honest opinion. I do hope you will reconsider and read along. I think you have an amazing thing going here and on Trekaroo and you totally deserve this. ps A very wise friend once told me that you have made it big when you recieve your first negative comment...so...CONGRATS! Shar, what a great adventure this is going to be for your family. I can't imagine the memories you are going to have. I am TOTALLY jealous! Enjoy! I can't wait to hear where you will end up! Sounds like an excellent adventure! A great opportunity to get to see some of the country. The other families sound like fun. Have a blast. I can't wait to read about it. Have tons of fun! Road trips are the best! This sounds like and amazing adventure. And what the hec if it is sponsored. I think it sounds like an amazing opportunity that you'd be crazy to pass up!! You all love to travel and it sounds like something you and your kids will remember for a lifetime! I can't wait to follow along on your adventure...it's gonna be so much fun!!!! BTW, Cole's been really into the Mario Wii games and a few days ago, he goes, "You know your friend who has Ben and Mari? Well, she should've named Ben, Mario...because that would've sounded really neat. You know, Mari and Mario. They're twins. Get it?" Even though he and Bella don't have similar names or Garrett and Landon...I guess he thought that Mari and Ben should have similar names. I swear, sometimes my kids boggle my mind. Don't you just love when the negative posters don't have the guts to leave their name! Some balls. LOL I didn't think your post sounded like an ad at all! I can't wait to see where you end up. I worked with CI&S for my birthday, and you will not regret working with them. They are super easy to work with and they treat you right! Have fun, be safe, and please tweet away. I am now turning your twitter updates on on my phone. What a fantastic opportunity! Listen, we all know you speak your mind and let no one stop you. I for one am looking forward to hearing your opinion of each of these places.. wherever they may be. Hope your schedule allows for some down time too! Sound like you are in great company. We all know you speak your mind and don't let anyone stop you. I for one, look forward to hearing your opinion on all these places. Sounds like you will be in good company, what a wonderful adventure! Keep us posted!